Sometimes you get to a book by a circuitous route. 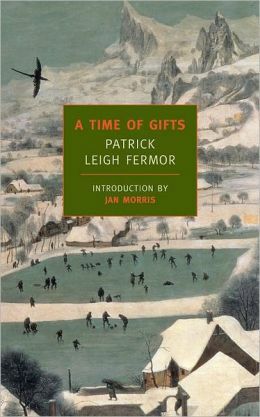 I had heard about Patrick Leigh Fermor when I was reading lots of travel writing in the 1990s but didn’t read his books then. Recently I began reading more about the two World Wars and came across The Ariadne Objective, by Wes Davis, the story of a British undercover operation in Crete during World War II when a handful of amateur British spies kidnapped a German general. One of those swashbuckling figures was Leigh Fermor; I was intrigued so I picked up a copy of his first memoir, A Time of Gifts, about his travels across Europe in the mid-1930s. I was not disappointed. Leigh Fermor was only 18 when he hit the road with a knapsack, determined to hike from Rotterdam to Constantinople, using his wits and a few introductions to get by. His parents were willing to send him four pounds a month for expenses. He had been expelled from yet one more school for his free-spirited inability to conform to expectations; it was time for him to make his own way. His father was in India, his mother and sister in England. He tried, briefly, to support himself by writing, but it was no go. Europe beckoned. He bought a ticket on a steamer sailing from the Tower Bridge to the Hook of Holland. On a rainy day in late 1933, several friends saw him off. The delight of this memoir–the first of two volumes–is in Leigh Fermor’s brilliant, evocative writing and the adventures he had. Ready for whatever came his way, willing to talk to people of all types and stations in life, curious about everything, he made friends wherever he went and put up with all the privations of a life on the road with minimal cash. Of course, 1933 was when it all began to go sour in Europe, so we get some insight into the political situation as well. There’s a new biography out: Patrick Leigh Fermor, An Adventure by Artemis Cooper and while I’m interested in reading it eventually, I’m more interested in reading Leigh Fermor’s own writings right now. The next volume of his memoirs, Between the Woods and the Water, takes him to Constantinople and I’m hoping to go along with him. I went to a wedding in Toronto the other weekend and took along a bunch of New Yorkers that needed to be read, including the December 3rd Food Issue. Although I wasn’t certain that I’d be enchanted by any of the articles, I started at the beginning of the issue, as usual, and read my way through, coming to a screeching halt after I read Sameer and the Samosas by Daniyal Mueenuddin. I needed to find someone to share this lovely personal essay with and since I don’t suffer from carsickness, I read it to MathMan on the drive back home. Mueenuddin is the son of an American mother and Pakistani father. He spent his first 13 years in Pakistan and then came to the U.S. for the balance of his formal education. After college, hoping to find a place where he could write, where he “would have leisure, would find subjects, color, conflict” and responding to his father’s cajoling letters, he returned to Pakistan. His father asks him to take over one of the family farms, in a rural area of Lahore. It happens to be the place he loved most to visit as a child. He agrees and sets off with high hopes that he can be a proper steward for the farm and become a writer. “My God, how penny-bright and clueless I was, arriving at the farm that day in 1987” he writes. It’s a classic tale about how the servants who have fattened their own coffers in the absence of the landlord are determined to continue to hoodwink the new, young, and indeed very clueless heir. Daniyal’s Groton and Dartmouth educations have hardly equipped him for the thievery that is disguised by the fawning, deferential behavior of the staff. He is a threat to their way of life, an outsider, and they will play him for a fool as long as they can. As always, what makes this personal essay so enjoyable is the writing; it’s always the writing. In a leisurely way, Mueenuddin sets the scene, describing the landscape as he arrives at the farm, bringing the reader into the picture. His childhood memories of long sleepy train rides to Lahore, of shooting grouse with his six-toed shikari, all work together to create a picture of the rural idyll he cherished. Arriving as an adult to take over the farm is quite a different matter: he’s met by a line of managers–“suave, ruthless, cunning operators” who he likens to “a conclave of Renaissance cardinals” plotting his confusion. I can’t tell any more; whether the young landlord finds a way to assert control or finds a way to make peace with their greed is for Mueenuddin to tell. No matter the resolution, it’s the telling that shines. I didn’t read any political books this year, even though there were so many published. Reading the newspaper or the online news was enough politics for me. The seven books listed below are either history, memoir, or biography. The Ornament of the World: How Muslims, Jews, and Christians Created a Culture of Tolerance in Medieval Spain by Maria Rosa Menocal. 2002. Menocal starts by telling about the young Arab, Abd al-Rahman, only survivor of the massacre of his family–the Umayyad caliphs–in Damascus in 750, by their rivals, the Abbasids. Several years later, he turned up in the Iberian Peninsula, or al-Andalus as it was called in Arabic. This dramatic event set the course for the history that followed–the Islamic Empire in Cordoba known for its tolerance and rich culture. Jews and Christians participated in Arab culture, each group enriching the mix, creating art, translating the classics, and creating fabulous buildings like the Alhambra and the Mezquita in Cordoba. Not only was this a fascinating look at medieval Spain, but it provided insight into later European history–political and intellectual. Behind the Beautiful Forevers: Life, Death, and Hope in a Mumbai Undercity by Katherine Boo. 2011. Boo immersed herself in this slum community next to the airport in Mumbai, where competition for food and shelter makes people into adversaries of their neighbors rather than co-competitors. It’s a painful book to read but Boo’s attachment to the denizens of Annawadi makes for riveting characterizations. Your heart breaks for the young adults who yearn to escape. Winner of the National Book Award. When We Were the Kennedys: A Memoir from Mexico, Maine by Monica Wood. 2012. Wood’s story of growing up in a company town in upstate New York doesn’t contain violence or addiction, just the insights of a good writer telling about a particular time and place, the 1950s and 1960s in a small town. Perceptive and rewarding. Thrumpton Hall by Miranda Seymour. 2008. I was intrigued by the reviews of this, but my local library never bought it so eventually I put it on my nook and was delighted with Seymour’s memoir of growing up in a beautiful country house in Nottinghamshire with a father who made her life miserable. Of course, he made his own life miserable too. Funny, sad, and very entertaining. 1493: Uncovering the New World that Columbus Created by Charles Mann. 2011. The discovery of the New World had far-reaching effects, as species of plants and animals were transported from the Old World to the New and vice versa. This Columbian Exchange, as it’s called, shaped the world we live in today in so respects. Every chapter had an “aha” moment for me. Mann connects the dots, puts in perspective things that we may know as isolated incidents or events. Just a few of the things I found fascinating: that there was trade between South America and China in the 1500s; that there was a “Little Ice Age” in Europe from 1550-1750; that the glut of silver that flowed from South America to Spain in the 1500s made it easy for Spain to go to war in Europe; that until the end of the 18th century African slaves outnumbered Europeans in England’s American holdings by 2 to 1. Mann repeatedly makes the point that 1492 was the beginning of globalization in so many areas, especially agriculture, which in turn led to massive cultural changes that we’re still experiencing today. 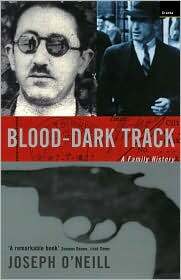 Too Close to the Sun: The Audacious Life and Times of Denys Finch Hatton by Sara Wheeler. 2009. If you’ve read and loved Isak Dinesen’s classic memoir Out of Africa, you’ll remember Denys, the romantic young Englishman that Dinesen loved and lost. The movie, with Robert Redford playing the role only made him more appealing and romantic. He was charismatic, but the truth, according to Wheeler, was somewhat different than the memoir and the movie would have us believe. Finch-Hatton was a charming, charismatic figure, inspiring love and loyalty in all he met, but he was a wanderer, never certain of what he was meant to do, never able to commit to anyone or anything. He left no diaries so Wheeler has put this bio together from the stories told by his contemporaries and her own astute surmises. She isn’t afraid to insert herself in the narrative, commenting occasionally on the process and I loved this informality. My Korean Deli: Risking it All for a Convenience Store by Ben Ryder Howe. 2011. What a great New York story this is! Ben Ryder Howe and his wife move into his Korean in-laws’ basement in Staten Island to save up some money but decide to use their savings to purchase a convenience store in Brooklyn for his wife’s mother, Kay. Howe works at the convenience store by night, keeping his day job at the very highbrow Paris Review, where he works for George Plimpton. The contrast between the two aspects of his life is hilarious, as is Howe’s descriptions of life at the deli. Only in New York. For the past several years I’ve chaired the reading committee that selects the titles for the Great Group Reads list that comes out in September in time for National Reading Group Month (October). There were 22 readers this year and we read like fiends all spring and summer. It was fun and exhausting at the same time and I really appreciate the readers’ their efforts. We put together a great list of books. 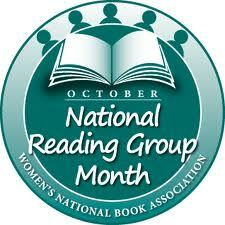 National Reading Group Month is sponsored by the Women’s National Book Association–the other WNBA–and to celebrate NRGM all the chapters around the country have author programs, highlighting the Great Group Reads books and other wonderful new books that will provoke lively discussions. The New York WNBA chapter program is this Wednesday evening–October 17–at the Strand Book Store in their classy Rare Book Room and I’m moderating the panel of 5 authors. For me, this is the high that comes at the end of the hard work: the chance to talk to authors of novels and memoirs, to find out how they wrote those wonderful books, what they were thinking about when they wrote them, how they write, and maybe even why they write. If you’re in NYC, come to the Strand for the 7pm program–it’s only $10 and for that you’ll get a $10 Strand gift card–can it be possible that there’s a book you want to buy? The authors on the panel are: Alix Kates Shulman whose current novel is Menage (Other Press), a wicked sendup of modern marriage. Shulman’s name ought to be familiar to you as the writer of the iconic feminist novel Memoirs of an Ex-Prom Queen. Elizabeth Nunez will be there too, author of Boundaries (Akashic Press), a lovely cross-cultural story of a woman coping with competing demands of family and career. David Maine, author of An Age of Madness (Red Hen Press), a devastating psychological study of a woman doctor whose family life has gone horribly wrong. I was delighted that this title made it onto the Great Group Reads list. I’m eager to meet Ben Ryder Howe and hear more about his hilarious and heartfelt memoir My Korean Deli: Risking it all for a Convenience Store (Picador). I listened to this one and laughed out loud often. It’s more than just humorous–it’s a great New York story with lots of food for thought about who we are and the choices we make for the ones we love. Marisa de los Santos will be there to talk about Falling Together (Wm. Morrow Paperbacks), a novel about three college friends who find that despite their close friendship, they’ve been blind to some important truths. So, come to the Strand if you can and say hello. There will be time to ask questions of the authors and talk to them after the program. Posted in Fiction, Great Group Reads, Memoirs, National Reading Group Month, Women's National Book Assoc.